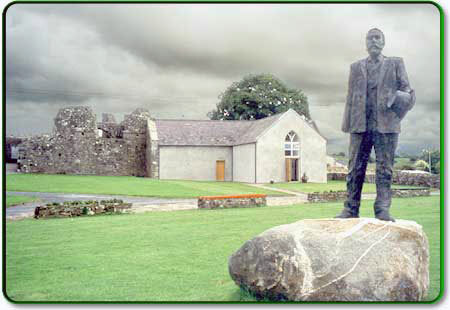 Michael Davitt was born in the village of Straide, Co. Mayo, on 25 March 1846. His father was one of the thousands of Catholic smallholders evicted after the Great Famine. In 1850 the family emigrated to Haslingden in East Lancashire. At eleven years of age he worked at a cotton mill. His right arm was severed by machinery and had to be amputated. Unable to work, he attended the local Wesleyan school and evening classes in the Mechanics’ Institute. He became a typesetter. He was mostly self-taught and learned French and Italian as well as Irish. 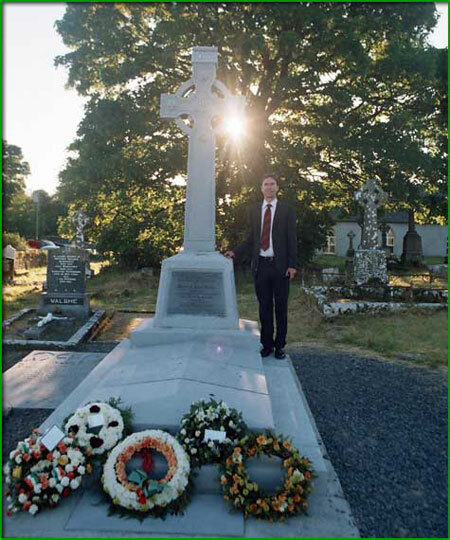 ‘the land of Ireland for the people of Ireland’. 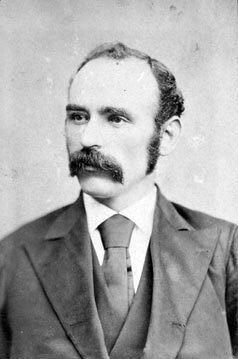 When Parnell’s leadership of the Irish Parliamentary Party was under threat in the wake of the O’Shea divorce case (November 1890), Davitt was one of his strongest critics. He called for Parnell’s temporary retirement in an article in the Labour World on 20 November 1890. He was troubled by the divisions in the party and he made valuable contributions to the negotiations that reunited the party in 1900.